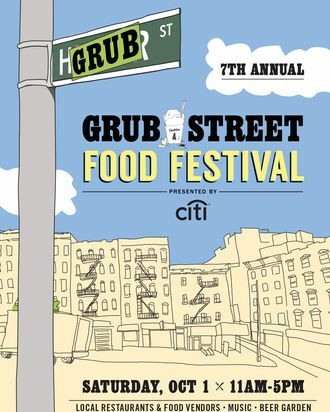 A reminder: Tomorrow, October 1, Grub Street will take over the Hester Street Fair for our annual Grub Street Food Festival. Just as it’s been in years past — and true to its name — the day promises tons of food from dozens and dozens of vendors. Perhaps you’ve heard of Babu Ji, OddFellows, Doughnut Plant, or Harry and Ida’s? They will be in attendance, along with many other excellent establishments, all in the service of feeding you.